The gut microbiome is a community of bacteria living in your colon. 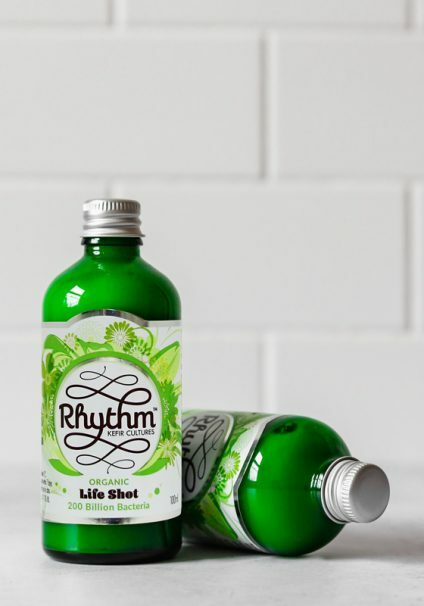 It plays an important role in the body, supporting proper digestion, protecting you against pathogenic bacteria and strengthening your immune system. Do I have a balanced diet? Your microbiome can help you determine if you have a balanced diet. 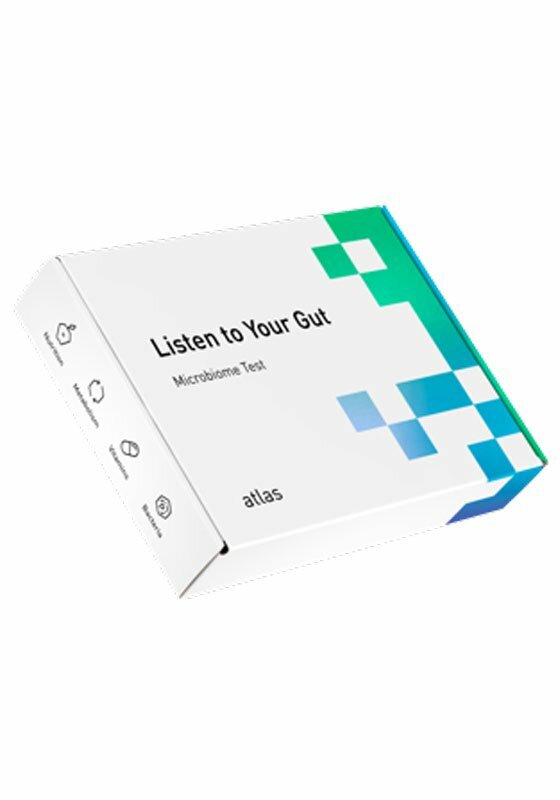 Atlas Microbiome Test will show you whether your microbiome is receiving enough nutrients from your diet to work effectively. Do I have a risk of vitamin deficiencies? The bacteria in your gut produce vitamins and vital short-chain fatty acid that supports intestinal health. Our test will show you which ratio of bacteria in your microbiome is able to synthesise vitamins from the B and K groups. Both your body and your bacteria need these nutrients. If your microbiome does not have enough of the right bacteria, you might not be getting enough vitamins. Do I consume enough fibre? Dietary fibre is an important part of a balanced diet. Your gut bacteria break down these substances into a short-chain fatty acid that helps protect the gut lining and prevent inflammation. Our test will show you if your microbiome is receiving enough dietary fibre to perform this task. From which diseases can my microbiome protect me? The gut bacteria of sick people tend to have specific ratios and types of bacteria. Our test will determine the composition of your microbiome and compare it to those of patients with obesity, type II diabetes, Crohn’s disease, ulcerative colitis and coronary heart disease. Based on these results, we can determine the level of disease protection offered by your current microbiome. You will also learn which foods you can add to your diet in order to enhance the growth of healthy bacteria, which help protect against disease. Which food can help me enhance a healthy microbiome? Microbiome diversity ensures the stability of your gut’s bacterial community. Health factors (like poor diet or antibiotics) can reduce the levels of normal bacteria in your gut. When you have a diverse range of microbes, others can take over the functions that were performed by them. Our test will analyse the diversity of your microbiome and provide food recommendations to help you enhance its richness. When you receive your kit, follow the instructions, collect your sample and send it back. We’ll do the rest, like making sure the sample is valid, analysing the DNA of your gut bacteria and interpreting the data. All you have to do is log on to your personal account to see the results. Your information is safe with us. In a box is: Instructions, Brochure, Spatula and Container for sample. Don’t forget to read the instructions carefully to make sure you do everything correctly. Once the tube is sealed tightly, keep your sample at room temperature. You don’t need to put it in the fridge, just seal it in the specimen bag. Seal the box with your sample inside and return it back by post. The original box already includes prepaid postage, so you should only drop it into the postbox. From this point, we will handle the rest. Your sample is analysed in the laboratory using Illumina technology. It allows us to use DNA fragments in your sample to identify your microbe and evaluate their proportion in the microbiome. It may take 4-8 weeks before your results are ready. However, each sample is analysed on a case-by-case basis, so we will notify you in case if it is different. We have developed algorithms based on published scientific research to analyse your microbiome and establish personalised lifestyle recommendations. We will send you the results in a .pdf file to your email.